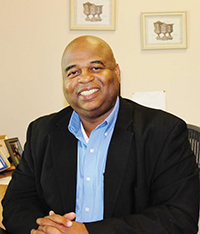 Rodney D. Brooks, co-founder of What If? Just A.S.K., is the president of Brothers Brooks Vision 2 Mission LLC. 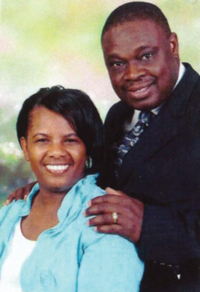 He has been a church officer for over 15 years and a Sunday school teacher for over 25 years. In the private sector, Rodney has more than 30 years of Human Resources and Operations leadership experience in various Fortune 100 and 500 companies. There is one constant that reaches across relationships, religion, race, politics, the news, business, world affairs, and medicine-and this common thread is called a threat. A threat can strike fear, motivate, inspire change, crush, and rally people to do and act in ways that are not always predictable. Animals respond to threats physically, through noises, chemical releases, and physical changes in the body, driving a behavioral change in the animal. People who feel threatened are often driven toward action. So…are threats good or bad? Are they needed to drive certain behaviors? Are we stagnant or complacent without threats? Are we lawless without threats? 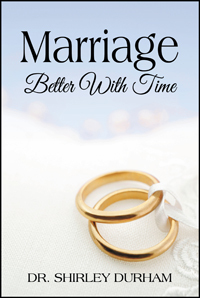 Do we plan our lives around the promises of the future or around threats toward the future? Are our future and hopes dashed and drowned out by uncertainty and anxiety? One has to wonder if threats are essential to sustaining continual progress by mankind. 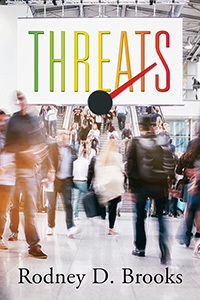 Learn how the various sectors of society are affected by threats in this unique and thought-provoking study. 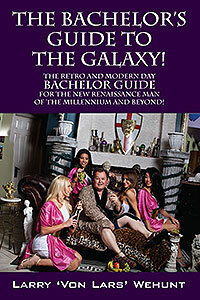 Introducing Larry ‘Von Lars’ Wehunt, author of The Bachelor’s Guide to the Galaxy! This is the first book project from the author Larry ‘Von Lars’ Wehunt which he hopes will go to press and create quite a stir and become a national and international underground cult classic and best-seller. He is also a prolific writer and a blogger in cyberspace. He details how he worked the American dating scene as a former nightclub prowler turned “International Man of Mystery” 007 Style. He generously shares his dynamic insight, wit, advice and manly wisdom. 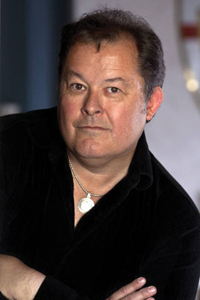 Von Lars lives in Glendale Arizona near Phoenix in his own swinging retro and modern style space-age bachelor pad and has many friends and admirers along with his black Labrador retriever. Visionary, saint, huckster, rebel, snake-oil salesman, wiseguy, modern-day charlatan and man-about-town, office desk jockey, jack of all trades, entrepreneur, a foot soldier and braveheart in the corporate cubicle trench warfare of today, bachelor extraordinaire and Hugh Hefner wannabe, Von Lars pulls no punches like a raging bull boxer in the ring of life. He tells it the way it really is like an arrow in flight, shoots his intellectual wit and life observations with both barrels loaded and takes no prisoners for his first written bachelor manifesto and man’s man debut to the entire world! Enjoy!